Named for his Cubist-inspired geometric patterning, this cheeky chap has something of a mid-century modern glint in his eye. Cuba Dove is delicately engraved and laser cut from Tasmanian Myrtle (Nothofagus cunninghamii) veneer, which has a lovely grain and a warm, reddish-brown hue. Cuba has a sweet sister, Flora, engraved with a feminine, floral pattern. 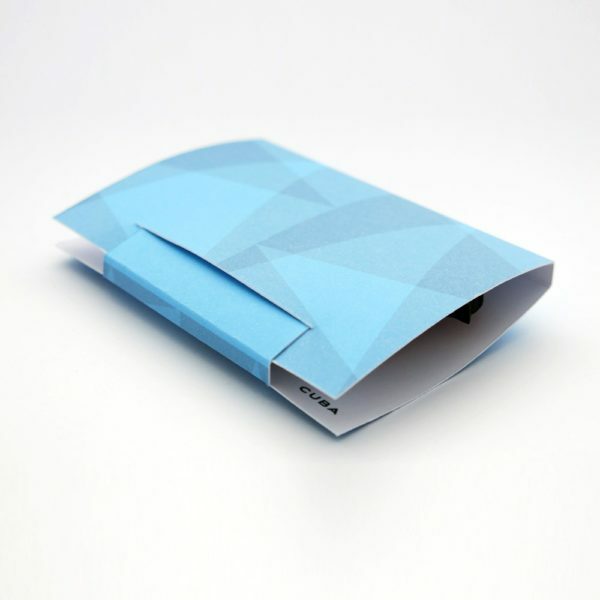 The custom-made packaging features a matching pattern in powdery blue and folds out into an easel-style card or stand, perfect for keeping this little treasure on display. Please ensure that Cuba Dove is removed from any clothing before washing. He loses his cheeky demeanour if he gets wet!